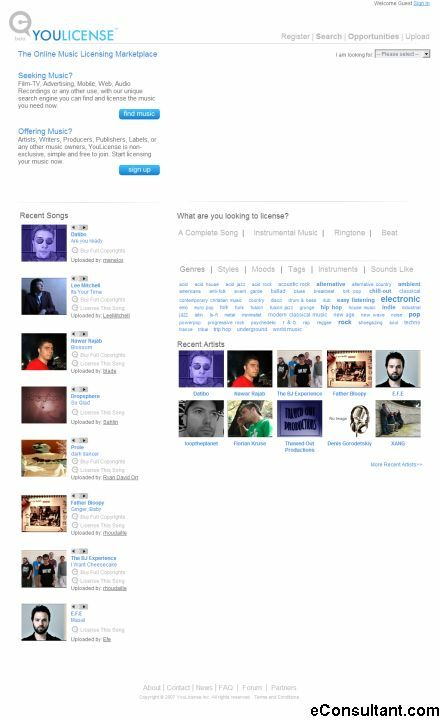 Description : YouLicense is an online music licensing marketplace. YouLicense has developed a platform which enables artists and those seeking musical content to conduct business directly with one another in a safe and secure environment. Their unique search engine and standardized contracts allow for a quick and easy process.